Here we are again... Trial to Hell version 0.2 (T H I C C Crate release) with 6 maps of pure vanilla madness (Tested with Chocolate Doom 2.2.1). 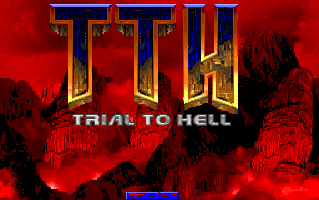 Trial To Hell is a future 32-level Oldschool Megawad. -Added new Status Bar graphics w/new number font. Map 01: Seemed alright, I didn't find one secret. Pistol vs. imps isn't my thing, so it's good the chainsaw is an easy grab, until chaingun comes in hand. Maybe the secret I missed was a shotgun? - Some monster closets could use tweaks, such as making the enemies wake up at first sound. The most hidden imps/pinkies at the west side weren't alerted until they saw me inside their closets. - The RK setup consists of an imps closet that can be ignored, since they can't chase you. I'd suggest to change them to a cacodemon (another could teleport somewhere near), if you don't mind introducing it earlier, or else a couple zombies (e.g. sergeants on UV and troopers in lower skills). 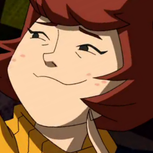 - At some point there's a nukage pit with imps and a switch you have to press for progression. Well, you can easily ignore the enemies that are released there, so maybe a lock-in could work if it's possible, imo. Take the YK trap, which actually gets you trapped as soon as the enemies wake up and you don't react fast. - The first zombieman and two sergeants do not wake up if you shoot behind the door. This happens frequently in the map, where enemies only wake up when you first enter the room, like in the exit room, rendering some pointless since they'll stay idle. - I saw a couple pinkies in the nukage pool close to the first SSG that pose no threat since they chase you. They could be removed. - This part of the nukage is inescapable, intentional? No big deal if it is though, just curious. - The zombies at the green armor trap can be ignored completely. Not sure what to suggest there, since the trap is very predictable. Perhaps have a hell knight or two teleport at the entrance. - I noticed more monster closets where they're only alerted upon seeing you, not hearing you, for example at the BK setup. I'd suggest to change that. - Last but not least, while not an urgency, some rooms are just squares with things placed symmetrically. This can be fine but with some added details like a lightbulb texture on the ceiling or a couple crates, plus different startans so they aren't just bland monotextured rooms. Idk, some extra work on detailing would help in general imo. Anyway, hoped everything I said helps. I'm curious to meet the rest of the maps. Interesting sky colour and palette changes. As for the status bar, I would suggest to revise STTNUM4, it can be confused with a 0 as I did many times. Keep it up! Thanks to heavens, finally some feedback. Working on community projects is making me realize some things about level design, so, I'm learning some things. MAP02: the nukage pool is on the visplane limit, so I prevent the player from falling there. It actually looks weird, so I was thinking about putting some fences, it would make more sense. MAP03: that nukage pool was intentional, but I was thinking of changing it since ir was really unfair considering it's just the third map. TBH that second SSG secret, not even I realized it was there. Thanks to point it out. I should see how much more detail I can put to some areas. Yes, I also realized number 4 had a problem, it wasn't like that when I Made it, but I was kinda lazy to change it. Be sure to check out the other 3 maps aswell if you like. Heyo, I decided to play your maps. Not sure if you implemented difficulty, but I played HMP. Map01: A fairly difficult map01, the shotgun-snipers (lord, what a contradictory position) whittle your health down while you run around desperately looking for a foothold. I liked it. Music sounded familiar, can't put my finger on it (not a rock/metal guy) it has to be pretty famous if I recognize it. Must've played it in guitar hero. Map02: I like the dark sections of the map where you can hardly see which demon is prepared to shoot flaming death into your face. Again, fun. But I have a minor problem with the doors, some open with switches while others open directly, but they use the same texture with no distinction. This isn't a big deal, but it's strange that in the same hallway, to doors with the same texture don't open the same way, perhaps use bars for the switchable ones? Edit: Just noticed you include song titles in the OP. Great, now I know the name of the song. Map03: The intro to this map is super 90s with the hexagonal structure. It's a very simple hub, but it works. I noticed this map was a little less detailed than the previous ones, perhaps it could use a small touch-up? Either way it was fun, and had a few nasty traps. I especially like the one where you teleport in a room within a room, the outside room is then populated with chaingunners and shotgunners. Map04: This map has can get pretty dark! (thanks for the light amp btw) The style, much like your other maps was very Ultimate Doom e1. A lot of the fights were very straight forward (which isn't necessarily a bad thing). The set so far is very classic feeling. Lots of monster closets, but sometimes that's all you need. Also: Thicc crate. Map05: Finally, mid tier monsters. And the SSG! Wonderful. I really like how the yellow key opens up the rest of the map, it adds dynamism to the maze like area you run around in. Unfortunately, the rooms aren't very distinct from eachother and I actually got lost a few times despite the maps small size. There were still some fun fights, but I wish the map's visuals were more varied. Map06: I'd say this is the best of the bunch. I really didn't expect you to shake things up like that. the sewer aesthetic was really cool. Lots of fun fights. It's neat that you start many of them with the enemies back to you. Like, you have to initiate the combat. Very fun stuff. Found a rocket launcher secret. It's a shame there isn't a map07 yet to test it out on. Overall: I had a ton of fun with this wad. The gameplay was classic, the maps were a bit maze-like. Felt like a great wad from the 90s in some ways, while having a few modern touches in others. The palette change was cool as well. There were a few misalignment problems (particularly in the sewer level at the end of certain tunnels). I'd be happy to play test this for you in the future, so if you would like to get in touch, PM me and I can go into detail about whatever you'd like. I'd be happy to play test this for you in the future, so if you would like to get in touch, PM me and I can go into detail about whatever you'd like. Of course, at the moment I'm taking my time with this mapset, since I'm contributing with two projects (Akeldama map24 and 1K Lines E2 map). When I finish with some tweaks and with the next map, I'll give you the wadfile for playtesting. The same will happen for anyone who wants to apply for playtesting. They will be credited at the end. Not sure if you implemented difficulty, but I played HMP. - First thing is to praise those GIANT crates, something I've never seen before and frankly amused me a lot when I saw the first one, please keep them. There's also the room with a static conveyor which looked really good, and the final trap was the cherry of the cake (commandos on both side, no easy escape since a pinky is holding you from pressing the exit switch). - The BK trap felt weak, an idea to improve it would be changing some of the imps to hitscanners and adding a few pinkies/spectres on the ground (via teleportation) to put a bit of pressure to the player. - At the room with the SSG, an imp from the giant crate didn't wake up. - The RK trap is initially scary until you realize you can easily escape and camp outside, if a player decides to. I'd probably shut the door upon grabbing the key, and make a few of the revenants teleport in the green hallway. Otherwise, if you want to keep it as it is, no big deal. - There's one room that has two tubes of mud and initially cacos and revs (idle), when you do something there, a bunch of imps teleport at the top of the stairs. My suggestion would be the invert their usage, the imps will appear there on first place, while the cacos and revs teleport later. - I'd change a few boxes of shells for rockets, since you get tons of shells and nothing for the secret RL. - There was one room with a blue armor I think, and the deep water effect which was cool. The downside was that the cacodemons weren't alerted until I shot them, so that's something to keep in mind. - At the end, the wall of imps could bodyguard an archvile. It's a typical move but could work there, idk. Finally, I'd echo Egg Boy about visuals, what I'd suggest is to add some distinguishable texturing here and there. Map 06 suffers from monotextured rooms, similar to each other, which in circumstances felt like "have I not been in this hallway already? huh?". On the other side, I dig how you start under the pipe you went into in the previous map. The maps don't need to be overdetailed or have all kinds of geometry as long as the gameplay is compelling. The incidental combat is solid in general, but the areas are a bit flat and samey. Take map 04 which had a lot of light variation and crates of different sizes, that was an improvement imo. Anyway, hope this helps!